If you want to know how to cook corn on the cob on the stove, you don’t need to spend hours preparing, or be a fancy chef, in order to make it great tasting. Start by filling the pot 3/4 full of water. Place it on the stove top on high until it begins to boil. Add the corn cobs, making sure they have a little space to move. Reduce temperature to medium or medium/high, so it continues boiling but does not boil over. Boil for 10 to 15 minutes. Mix a pinch of each of the spices, to taste, into a cup of butter or margarine. Spread the mixture onto the corn cobs and serve. 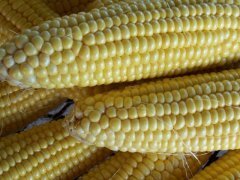 Corn is a source of vitamin C, which also works as an antioxidant. It is a healthy addition to any meal. Best with some potatoes and your choice of meat.